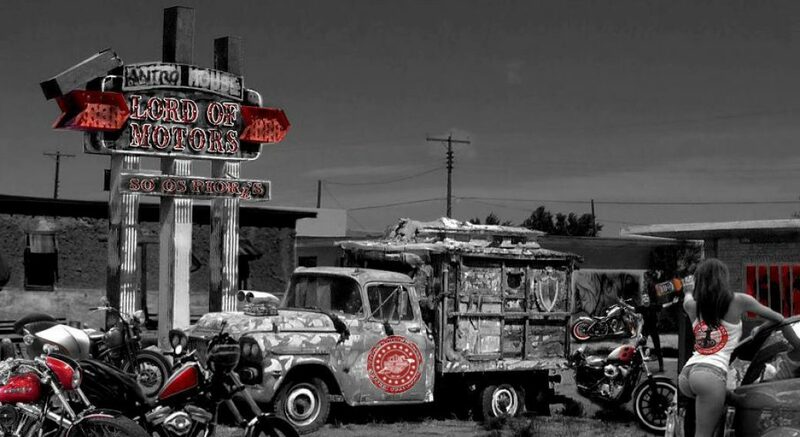 The new Indian Scout introduced at the 2014 Sturgis Motorcycle Rally as a 2015 model is a “modern classic cruiser”, designed with modern technology but with visual references to the distinctive pre-1953 Indian style. But it’s a cruiser with a sport personality. The original versions of the Scout (1920 to 1949), have earned respect for agility and power, and for many, thanks to Burt Munro using a modified 1920 model to set land speed records, the Scout is either a racing bike, or thanks to the model 101, the best hill climber. Roland Sands was one of the first professional builders to work on the new Scout. Because of his racing background and personal taste, each RSD custom version of the new Indian Scout draws an heavier inspiration from the past to carry Indian’s racing heritage. This “unfinished” completed machine screams I am a racer, no more a cruiser. And to arrive to such a result, Sands admits that you must be somewhat crazy to deconstruct a brand new factory Scout and fully rebuilt it with a new Chromoly frame inspired by the original Scout and very close in configuration to the one created for the Pikes Peak Project 156. 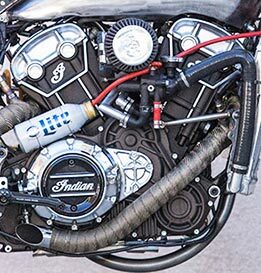 The new factory Indian Scout offers a lot for a cruiser, a 1,133 cc (69.1”), 100 HP ((74.7 kW) liquid-cooled, double overhead camshaft V-twin engine in a lightweight cast aluminum frame. The RSD version is featherweight, turning the original cruiser into a true racer.Stylistically, and of course on purpose, this RSD project points more to the past than to the future. It is still equipped with the first liquid-cooled engine Indian has ever offered, but now cradled in a raw, unfinished bodywork (limited to gas rank and radiator) with exposed wiring and zip ties to make sure that everybody understand that this Scout is hand built for torque and thrust. 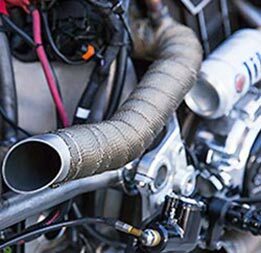 Nostalgia and performance technology working together to inspire a new generation of Indian Scout riders. 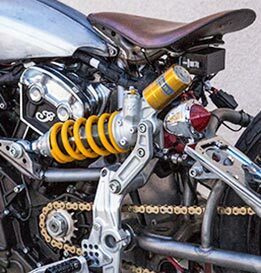 By Roland Sands Design.